Blu-ray quality put to test by consumer charity Which? Consumer rights bastions Which? have taken a look at some of the most popular movies out on Blu-ray and compared their picture quality with that of DVD. In the test, Which? looked at 17 Blu-rays, all of which were of retro movies, and decided that eight of these discs had a transfer akin to DVD – even though they had been labelled Full HD. It's no secret that the quality of retro movies on Blu-rays differs depending on how well the studio has remastered the movie but it seems that the folks at Which? were shocked with the actual gulf in quality between discs in their tests. 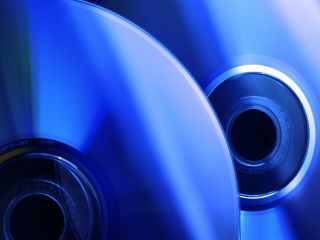 Although the site explains that all the discs are better in quality than DVD, the do highlight some discs which didn't impress at all. These included Ghostbusters, The Graduate and Gangs of New York. The test was conducted on two identical Sony TVs and two identical Blu-ray players (with the DVD and Blu-ray version running side by side) by two experts who rated the picture quality of the movies accordingly. Interestingly, North By Northwest was also in the lowest-quality group – something which Home Cinema Choice disagrees with. They note that the Hitchcock classic was given an 8k resolution restoration for its release on Blu-ray, so it was very doubtful that no picture improvements were seen by the testers. While we think 17 discs is rather low, it is interesting to see a trusted body like Which? challenging the notion that Blu-ray automatically offers picture enhancements to older movies.